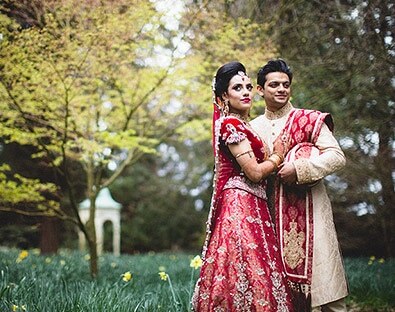 The extensive grounds at Capesthorne Hall enable couples to combine the grandeur of the hall with the versatility of a grand marquee in the picturesque gardens for celebrations of up to 700 guests enabling us to become a unique Asian wedding venue in Cheshire. We are also licensed for Civil Ceremonies. After the Sikh Anand Karaj marriage ceremony Capesthorne can provide an exclusive and stunning venue for a banquet dinner and dancing for smaller numbers in our Lakeside wing or for larger numbers in a marquee in our picturesque grounds. 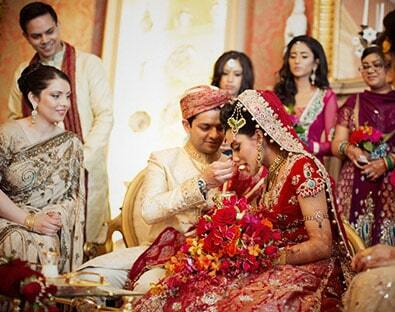 A Muslim Nikah is possible in the Hall, with capacity for 150 guests for drinks and canapés. Then a marriage banquet or walima can take place in our Lakeside wing (for up 150 guests) or in a bespoke marquee, which would need to be hired in for larger guest numbers . As a Hindu wedding ceremony requires a mandhap and small fire these can only take place in a marquee, however the Hall can be used to host a smaller gathering for the civil service, and for a drinks reception. opportunities both inside and out. 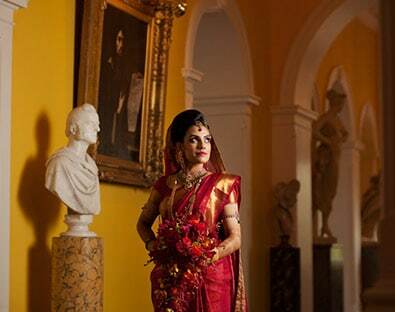 There really is no comparable Asian wedding venue to Capesthorne’s exclusive splendour. Exclusive use of the Hall, to include the Entrance Hall, Queen Anne Room, Sculpture Gallery, Saloon and Drawing Room. The Capesthorne Asian Wedding Team are dedicated to making your day special.